These have been taken from a real-time animation showcase that I've uploaded to Vimeo and YouTube. As an environment artist specializing in interactive objects, my work at THQ frequently involved modelling, texturing, rigging and animation of vehicles to be triggered by various events in game. This trailer is entirely event-driven via Matinee in Unreal 3 and uses animation-tree blending, masking and constraints. The Bushmaster IMV is designed by Thales Australia. 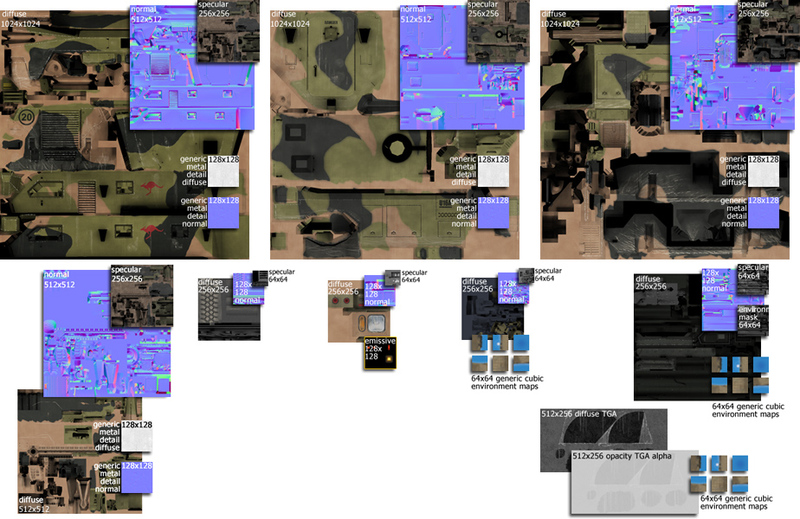 All textures have been optimised to give the lowest texture memory footprint on the Playstation 3 without sacrificing detail. The ambient occlusion and normal map textures used on the game model were baked from high-polygon models built in Maya and imported into X-Normal. During the trailer, the model swaps between different polygon detail levels based on distance from the camera, which is an essential part of game asset optimization.